Posted October 29th, 2013 by High Dive SD & filed under Beer, Events, News and Updates. Posted October 15th, 2013 by High Dive SD & filed under News and Updates. Posted August 8th, 2013 by High Dive SD & filed under Beer, Events. Posted July 19th, 2013 by High Dive SD & filed under Beer. 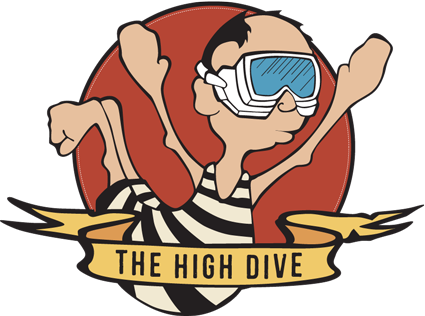 This month down at The High Dive we will be featuring The Bruery. The Bruery is amazing brewery located in Orange County California. Opened in 2008 by owner Patrick Rue they have quickly become a big name in the craft beer industry. The Bruery has consistently pushed the limit using unique ingridients to produce truly creative beers. Posted June 17th, 2013 by High Dive SD & filed under News and Updates. Posted June 3rd, 2013 by High Dive SD & filed under Beer. Posted May 14th, 2013 by High Dive SD & filed under News and Updates. We love what we do, and we hope it shows. Since 1996, we’ve experimented, tasted, tested and kept on trying, every single day. That way we stay true to our dream! Real beer lovers making real, good beer. Posted April 22nd, 2013 by High Dive SD & filed under News and Updates. Posted April 15th, 2013 by High Dive SD & filed under News and Updates. Posted March 25th, 2013 by High Dive SD & filed under Beer.